The Easter Bunny left his Eggs scattered among this Bright and Cheerful Fresh Design. It includes Lilies, Carnations, Alstromeria, Daisies & More. 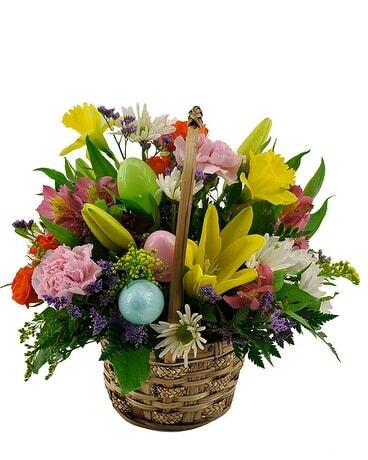 Springs brightest blooms designed all around in wicker handled basket.